Tucson foreclosures give buyers a unique opportunity to save big on their Pima County home purchases. The savings opportunities are potentially huge -- with about 45% of the Tucson housing market comprised of foreclosures and other distressed properties. Based on the sheer volume of Tucson foreclosures, once in a generation foreclosure opportunities are available. When a homeowner defaults on their residential mortgage, their lender is often left with no alternative but to foreclose. These properties -- also referred to as Real Estate Owned (REO) -- become a liability that weigh down the lenders’ balance sheets. Until banks are able to sell these properties to another homeowner, it negatively impacts their ability to make new loans to buyers with an ability to make their mortgage payments. 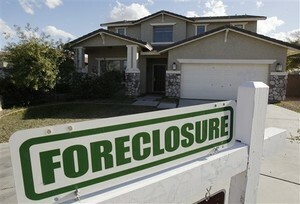 Regardless of the type of Tucson property you’re looking for, there’s a foreclosure property that can meet your needs. From bank and government foreclosed homes to condos, townhouses, manufactured homes -- and even land -- these properties give you the opportunity to save big compared to what you might expect to pay if you were buying retail real estate. Prices for Tucson foreclosures are extremely affordable, and in many cases can be purchased as much as 15%+ off of retail and new home prices. These prices for Tucson area properties give you plenty of reasons to consider Pima County as your future home. While foreclosures give you ample reasons to consider the Tucson area for your next home purchase, foreclosures aren’t for everyone. If you’re not comfortable rolling up your sleeves and making what (in most cases) are minor, superficial repairs, you might be better off paying retail for your home purchase. However, if the idea of making your house a “home” excites you and opens you up to the concept of decorating your home to suit your tastes, then you should definitely consider finding a Tucson foreclosure in a neighborhood that will make you feel right at home. Foreclosures are the driving force in making the Tucson real estate market the most affordable it’s been in years. Prices have dropped dramatically -- and lenders are hungry to get their REO properties off the books. To find out if a Tucson foreclosure property is your best opportunity to achieve affordable home ownership, browse our foreclosures listings (sidebar to the right) and contact us today to arrange a showing or to get more information.